I would not have expected to post something about Tom Cruise here, but today I stumbled upon a stunning image. 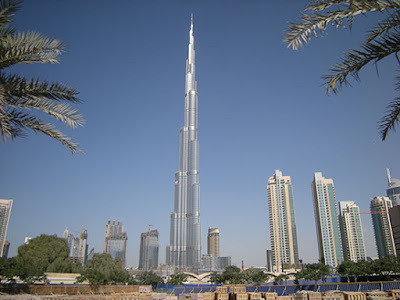 It seems from November, and it is apparently part of the Mission Impossible 4 movie, showing Tom Cruise aka Ethan Hunt on the very top of the highest building on Earth, the Burj Khalifa in Dubai. Check it out using zoom-in on the Giga panorama. Respect!